You don't fool around. You watch us ever so closely. You see when we stand tall under pressure to act against our faith you see when we fall. 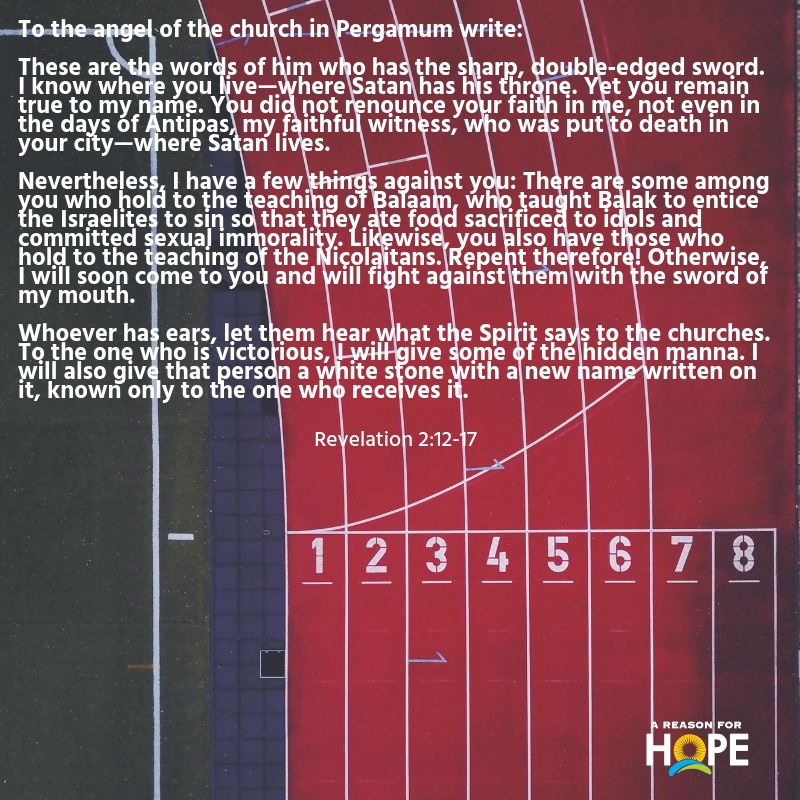 The ancient church in Pergamum had some members who thought that grace meant they could live however they wanted. You won't stand for that. Grace teaches us to say "no" to ungodliness for the right reasons. Help our pastors teach your word fiercely and faithfully so they lead your sheep away from sin and into a life of purity and peace. Use your word to make their tongues sharp two edged swords that cut people to the heart who need to repent and who cut out guilt from those who have. Help your messengers say what you would say to the flock. And when you have gathered your sheep into your grace again, give us that white stone with the new name written on it, "Forgiven" and "Admit One" into heaven. True spirituality reveals itself in honest and humble faith that wrestles with sin until the finish line.